Magnificent! A work of genius. 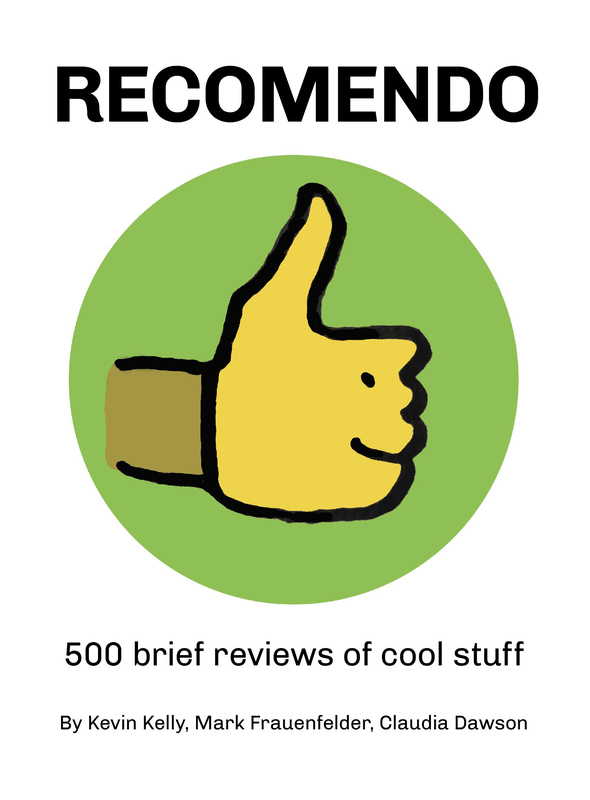 The best how-to manual ever published. I could keep piling on the superlatives because this book is simply a masterpiece. At one level, it is a comic book about how to make comics, and for that it is supreme; the best. 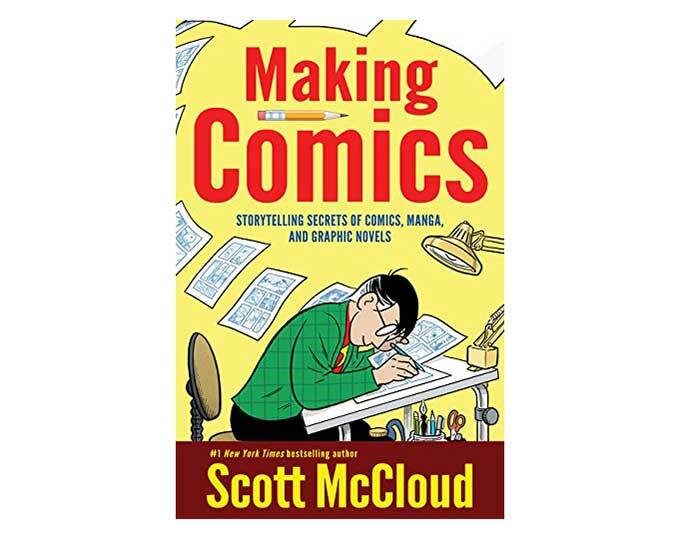 It will walk you through every step of making a comic, including how to make them on the web, digitally, or in pen and ink. I’ve been working on a near-completed graphic novel, and every page has told me something important and spot on. 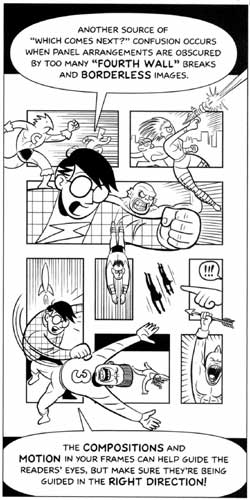 With brilliant graphics, Scott McCloud combines the most profound insights from his two previous books, Understanding Comics and Reinventing Comics. But in this book he raises your understanding of graphic communication further by making every lesson utterly practical and useful for both novice and expert. I can’t imagine anyone ever doing a comic manual better. However, even if you are not planning on making a graphic novel, this book is a gold mine. 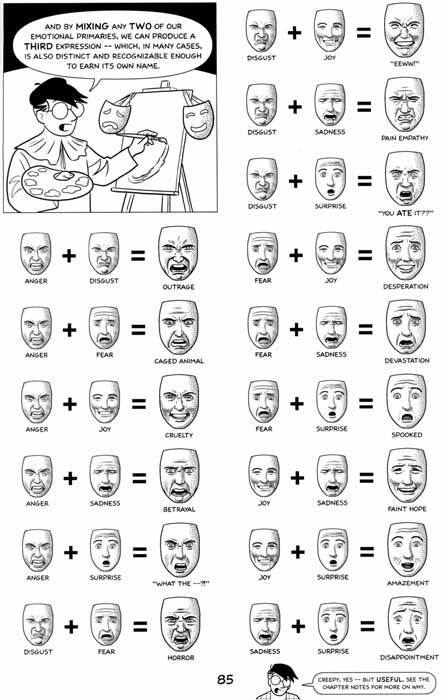 McCloud’s section on constructing facial expressions and emotions is astounding, and worth the price of the book alone. 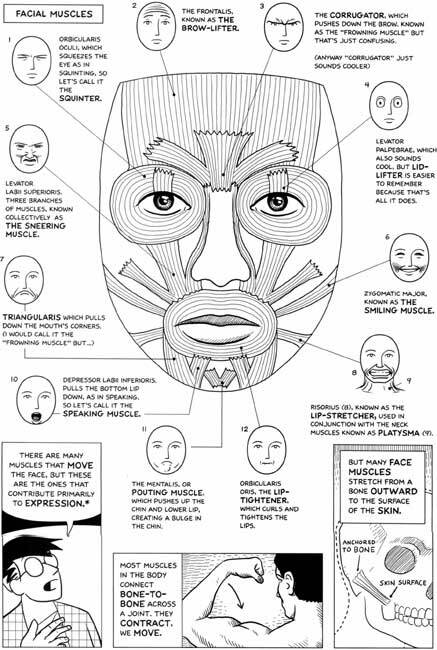 The clever way McCloud arrays human expressions in one chart reminds me of the first time I saw all the colors arranged in a color wheel; it’s the same aha! The insights McCloud extracts from comics and presents so vividly here are useful to novelists, sociologists, film makers, artists, roboticists — anyone interested in human expression. That’s probably you. Indeed, even if you have no interest in comics at all, this charming book will win a place in your life because ultimately it is about communication and stories — and those are the foundations of all cultures. Making Comics teaches you the visual elements of stories. If I had to re-title it, I would call this book Making Visual Stories. Finally, as an example of communication itself, this comic book has few peers. I read, review and use hundreds of how-to books every year. 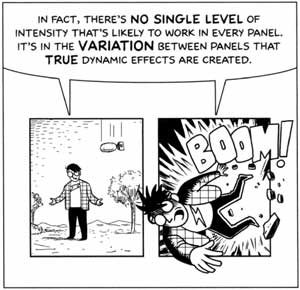 I can’t think of any instructional manual in any subject that is clearer, more thorough, more honest, more user friendly than Making Comics. As I said, it’s a classic. You can expect to find marked-up copies on bookshelves (or on hard drives) a hundred years from now.